Join us for our annual brunch tradition unlike any other! Easter and Mother’s Day are very special to us and our Middletown family, and we invite you and yours to become a member of our family for these wonderful days! Executive Chef William Garber and his team have an exquisite menu planned for each day. Click on the flyers to see the complete menu. These holiday brunches have drawn tremendous crowds and reservations are required. Call (215)-757-6951, ext.12 to make your reservations! 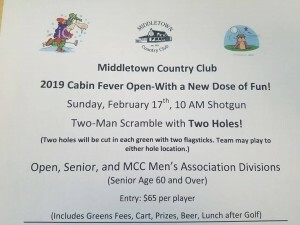 Back for action after several postponements in 2018, the Cabin Fever Open is primed for a return in 2019…with a twist! This event will remain as a two-man scramble, but this year there will be TWO HOLES in each green! A team will be able to putt to either hole location. The starting time will remain a 10 AM shotgun. All information is detailed on the below post. Registration forms can be mailed or emailed to us at the club. Don’t delay, reserve your team’s spot today!!! Did you want to join a golf league but could not commit to a full season? We now have the answer for you with our new Thursday “Short Season” League, a two-man team league that will use a modified Stableford scoring system. Both players on a team will compete against another team of two players each week. The total number of points earned by a team against the other team’s total points will determine the winner each week. Handicaps will be adjusted each week. A players’ handicap will be up one point for every plus 3, 5, or 7 points. If a player is -3 points or worse, his handicap will drop one point. The more points the better in this format. Entries Close on June 1st. 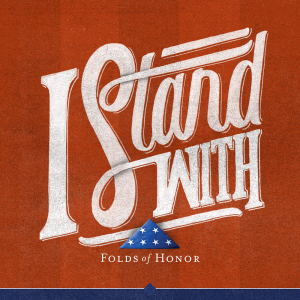 Sign up Today!! 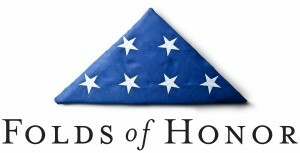 The cost will be $32.95 for adults and $19.95 for children ages 3-12. 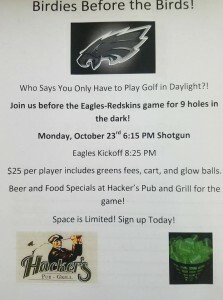 Reservations are required and can be made by calling (215)-757-6951, ext.12. Our golf course is still currently covered under about an inch of snow all over. The current weather forecast does not look much above freezing today, and close to 40 tomorrow. We are hoping to have the golf course open at some this weekend. If you already made a tee time, please call the golf shop at (215)-757-6951, ext.10 before heading to the club. Hacker’s Pub and Grill will be open at 5:30 PM on Sunday for the NFC Championship game. GO EAGLES! Tis The Season To Remember The Golfer On Your List! Middletown Country Club once again will be offering holiday shoppers the perfect gifts for their golfers. We all know that golfers are difficult to shop for, so we want to make it easy. 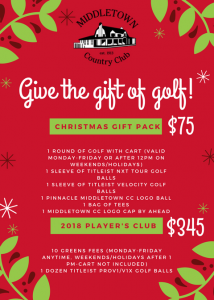 We are again offering our Christmas Golfer’s Gift Pack which includes a round of golf with cart, a sleeve of Titleist NXT Tour golf balls, a sleeve of Titleist Velocity golf balls, a Middletown CC cap by Ahead Headgear, one of our MCC Pinnacle logo balls, and a bag of golf tees. For the second year, we are also offering a golf package called the 2018 Player’s Club. This is for the golfer who loves to play and can’t get out enough. This includes 10 greens fees (cart not included) anytime Monday-Friday and after 1 PM on weekends/holidays along with a dozen Titleist Pro V1 or Pro V1 X golf balls. This will also be a yearlong offering.